Forget the USA, New Zealand or even Iceland, at Antur Stiniog you can catch some of the most breathtaking mountain biking trails right on your home turf in Snowdonia, and wh en better to visit than in 2017. This is definitely one for the adrenaline junkies amongst us, and with one of the best mountain bike uplift services in the UK, you couldn’t be in better hands. 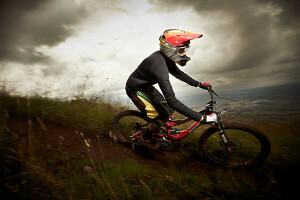 Whether you’re a seasoned professional or you’ve just begun burning rubber, Antur Stiniog’s downhill mountain biking trails have something for everyone. With mountain bike coaching available for riders of all levels, your hosts will cover a whole range of skills from bike set-up to improved confidence on the trails, and if you’re up for getting down and dirty, the center comes equipped with a bike wash, showers, bike maintenance, an outdoor shop and a cafe to grab some pre-biking fuel. 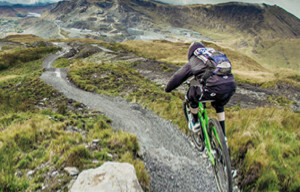 If you’d like to challenge yourself, Antur Stiniog will push you to the limit and any riders.